STS has a relatively short history in East Asia—it was not until the 2000s that societies and programs that bore the initials “STS” in their titles were established in China, Japan, Korea, and Taiwan. Yet in just fifteen years or so East Asia has come to play an active role in the academic world and in the transformation of a flourishing East Asia via journals such as EASTS. Historically, it should be noted that as an intellectual trend STS was introduced to this region far before its institutionalization. Compared to the intellectual orientation of its Western counterpart, STS in East Asia is more locally rooted and problem-based. While in Japan STS was impregnated with socialist criticisms of Cold War science and it directs increasing attention to alternative forms of social organization grounded in ideological pluralism, STS in China has inherited ideology driven, politico-intellectual traditions of “natural dialectics” (Zi Ran Bian Zheng Fa) and is backed up by state ideology. While the assessment of science and technology is a predominant component of China’s STS, Japanese STS scholars tend to oppose the government by promoting science for the citizen. STS in Taiwan and Korea takes yet a different disciplinary orientation: both influenced by Joseph Needham’s account of science and technology in Asian civilizations (such as those in Science and Civilisation in China by Needham and his collaborators), in particular before the Western scientific revolution, and both developing their research agendas from the discipline of the history and philosophy of science, Taiwan and Korea have structured their criticism of scientific development as a necessary step toward democratization. The introduction of mainstream STS theories such as the Sociology of Scientific Knowledge, Actor-Network Theory, Social Worlds Theory, and the Anthropology of Science and Technology did not erase these traditions; instead, introduced by East Asian scholars returning from Europe and the US, such theories have blended into existing traditions, stimulating the growth of new STS communities in East Asia. EASTS’ inception can be understood in this light. Founded in 2007, EASTS started out as an intellectual network of scholars in the history and philosophy of science, mainly from Taiwan, Japan, Korea, and what we used to call “outside of East Asia” branch, or “OEA” for short. With the support of Taiwan’s Ministry of Science and Technology, EASTS aimed to be the first English-language journal dedicated to East Asian STS. The founding editorial board included Daiwie Fu as editor-in-chief, Chia-Ling Wu, Togo Tsukahara, Sungook Hong, and Warwick Anderson as associate editors, and more than forty editorial board members from communities covering not only traditional East Asia but also Australia and Southeast Asia, and covering various disciplines from the history and philosophy of science and history of medicine to public understanding of science and science policy. The journal itself came into being as the realization of this collective voice that was seeking the meaning of doing STS in and on East Asia. As a quarterly, EASTS, like other academic journals, publishes research articles, research notes, review essays, commentaries, and forums. Even so, in order to make itself distinct, a large amount of editorial effort has been put into book reviews and the covers, which are perhaps marginal for an academic journal (see the assemblage of some covers in Figure 1). Since our inception, covers have been a colorful and artistic feature of EASTS. For each issue, editors carefully choose material that will be intellectually compelling for readers and transform it into a piece of visual art that faithfully conveys its nuances. With a team that consists of more than ten editors covering major Asian languages (Chinese, Japanese, Korean) as well as French and German, in our Book Review section EASTS aims to be the gateway to East Asian STS, with reviews of books published in Asian languages as well as in English. For those who want to understand the intellectual characteristics of EASTS in balancing the different origins of and ideas on STS, the quickest way is to read Daiwie Fu’s positioning paper “How Far Can East Asian STS go?” published in its first issue (1.1. It can be read or downloaded at https://read.dukeupress.edu/ easts/article/1/1/1/25936/How-Far-Can-East-Asian-STS-Go-A-position-paper?searchresult=1). By proposing EASTS to be a venue for “a distinctive EASTS study”, Fu called for a reassessment of existing interpretive frames (such as “center-periphery” models or post-colonial connections) and claimed an intellectual network that is made to set new parameters for studying East Asian STS. He also called for research agendas, such as focusing on socially embedded, situated technologies, in order to substantiate interdisciplinary and cross-cultural practices of STS. As Fu enthusiastically concludes, “East Asian STS will offer fresh STS perspectives because of its special local experiences, shared cultural and colonial histories, similar geological and meteorological makeup, and similar global positions… No doubt, East Asia has a lot to offer STS communities worldwide”. 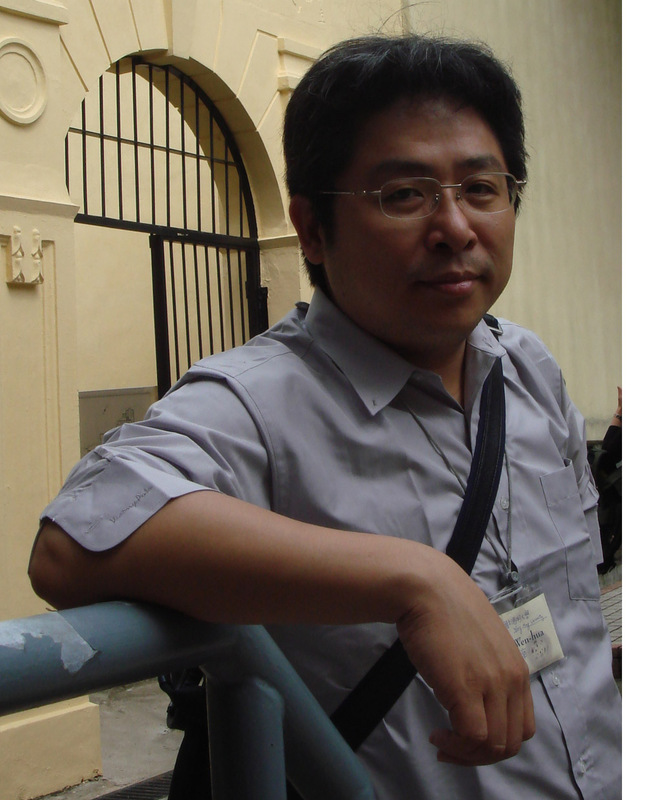 During his six years of editorship (2007-2012) Fu’s efforts can be appreciated in thematic issues on gender and technology (such as 2.2) and traditional technology and knowledge (such as 4.2 and 5.2), as well as in forums on the 50th anniversary of Thomas Kuhn’s The Structure of Scientific Revolution (6.4), “Engaging Asia: A Forum on the History of Science and Technology” (6.2), and a panel discussion on the 2011 tsunami and subsequent Fukushima crisis in Japan (5.3). 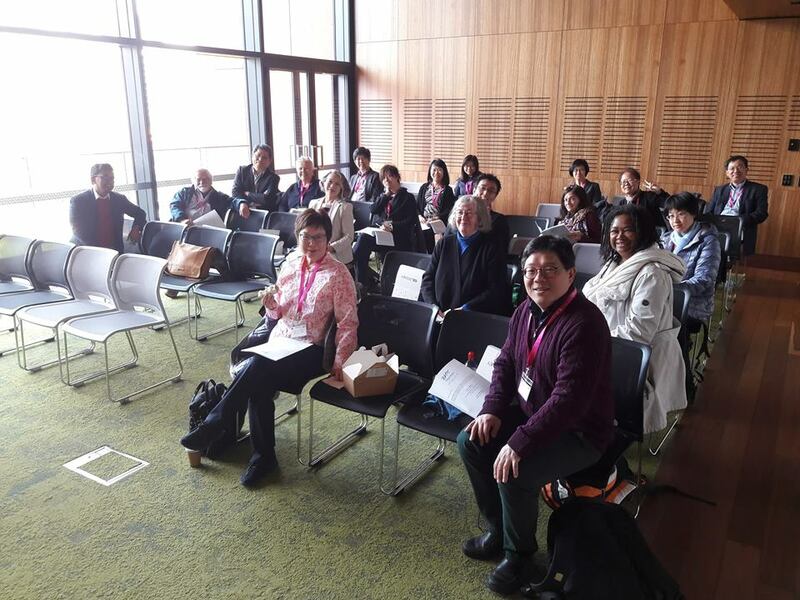 Further, EASTS has been open for different perspectives, and ways envisioning how EASTS could achieve a scholarship that engages not only people living in and working on this region but the global STS community. The issue “What Is Distinctive East Asian STS: Method, Assemblages, or Theories?” (6.4) was fully dedicated to reflecting on these perspectives. scholarship is needed on national policy toward science and technology in terms of R&D. For this, EASTS has achieved discussions in both a national and international context, such as China’s biopolitics (5.3. ), Singapore’s Biopolis (7.1), and a comparison between Japan and New Zealand (5.4). Second, as the only journal in English on this area, EASTS has been expected to establish a scholarship that moves beyond “area studies” of STS. In addition to theoretical reflections, in its first decade the papers published in EASTS have brought up situations that challenge the meaning of East Asia and reframe the STS specificity. Reflecting the multiple origins of STS in East Asia, its papers belong to various disciplines, such as the history of science, sociology, technology studies, and anthropology. Nonetheless, together they exemplify efforts to expand the networks of STS beyond mainstream narratives in the Anglo-American context. A case for this can be seen in the issues on traditional medicines in East Asia (notably 2.4, 7.3, and 8.1). The theme is distinctively East Asian, yet capturing how these therapies travel around the world and changing ways of thinking about these living traditions is definitely a global question. Chia-Ling Wu, editor-in-chief from 2013 to 2015, inherited the spirit of making EASTS an intellectual platform that thrives on harmony in diversity, yet without becoming some kind of STS “fox”—to use EASTS current associate editor Fa-ti Fan’s term—roaming through disciplinary, geographical, and intellectual territories (in his response to Fu’s position paper mentioned previously). While focused on East (and Southeast) Asia, EASTS is gradually expanding its geographical reach, publishing articles on South Asia (such as the issue on Indonesian STS, 11.1). We are also actively searching for articles in various disciplines to best present East Asia as both an intellectual subject and a meaningful method for doing global STS. Though EASTS is still a young journal, we as editors are delighted that it has already become a permanent fixture in the networking infrastructure of global STS. A collaborative undertaking with the internationally renowned publishers Springer (from 2007 to 2011) and Duke University Press (from 2012), EASTS, like the landscape of East Asia, is always in transition. When the late Society for the Social Studies of Science (4S) president Susan Leigh Star made mention of EASTS in 2007, it was as one of those initiatives not based in the traditional STS regions of America and Europe. With 4S inviting more non-Western involvement, and with EASTS advisory editors Kim Fortun and Ulrike Felt elected presidents of 4S and of EASST respectively in 2017, this seems to be the right time to renew EASTS’ road map. While looking back at the multiple histories of STS in East Asia, it must reinvent itself by introducing research agendas that push EASTS beyond existing framings, such as simplified dichotomies of West and East as “center-periphery” or “theory-subject”. We believe that this is why EASTS won the 4S Infrastructure Award in 2018, and we are grateful that our work with the journal has been recognized this way. Ours is a fast-changing technoscientific world, and one in which East Asia isn’t an outsider but has a permanent seat at the table. EASTS doesn’t aim to provide the ultimate answers to all of STS’s questions; but we do believe that these answers—if they exist—can only be approached and set down on paper by making use of the expanding networks and evolving infrastructures of an STS community that can shape social agendas and create responsive scholarship. To borrow Confucius’ words, we strive for harmony in diversity. Though we are indexed by Web of Science (SSCI and A&HCI) since 2016, EASTS equally treasures networks created via scholarly collaboration. We believe that any scholarly piece published in EASTS does not stand alone and will not fade away. So we invite you to join us in contributing your own work to the living archive that is EASTS! Wen-Hua Kuo teaches STS and public health at National Yang-Ming University, Taiwan. His research concerns health governance in the transformation of East Asian states, with thematic focus on clinical trial regulation and traditional medicine. His paper “The Voice on the Bridge: Taiwan’s Regulatory Engagement with Global Pharmaceuticals” won the 4S David Edge Prize. In addition to being EASTS’ editor-in-chief, he also serves on the editorial boards of several STS journals, both regional and global.